5. Come ready for fun on April 28! Welcome to the Miss Memorial Day Pageant. We are a patriotic pageant open to any girl, ages 6 months through 21 years old, that resides in the United States with current citizenship. To enter the 2014 Miss Memorial Day Pageant, your entry must be to the Director, Cynthia Montgomery, by April 28th, 2014. It must be delivered to the Director's home if you do not get it mailed a week before the deadline. Our Pageant will run from 9am until 12pm with each age division following one another. Dressing room opens at 8:30 and we run like a fashion show with all contestants ready by 9am to begin the pageant. Commerce. 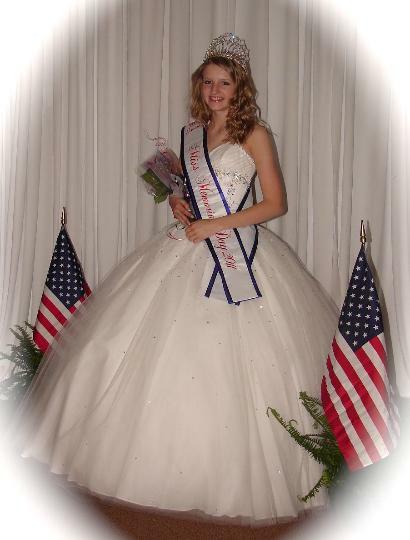 Please have your entry in by April !5th if you are in the MISS or TEEN age disisions for a area title sash! You cnenter later, yet you may not have time to receive a area title sash. contestants cost is $95, as the additional amount is for their area title. about our categories, crowns and queens. The Royalty titles appear in the MMD application. This year we will offer a $200 CASH Scholarship to the overall highest scoring girl in the pageant. We will have a Miss American Beauty, winner. She will be the winner of the Portfolio competition. This Royalty title is an additional $25 for any contestant that wishes to enter a portfolio (6-15 photos) for judging. Your score goes towards the MISS PATRIOTISM title and the $200 CASH Scholarship. You receive 50 points for entering and 15 addiitional points for winning. In each age division you may enter any 8x10 color or black and white photo for the photogenic portion of the pageant. In each age division there will be a Miss Photogenic chosen. leadership, politics, community service, and patriotism. OUR $200 CASH SCHOLARSHIP WILL GO TO THE ONE CONTESTANT WITH THE HIGHEST OVER ALL SCORE!!!! It could very well be our BABY contestant but it may also be an awesome TEEN contestant or even a TINY contestant! We are excited to offer this $200 cash award the day of pageant to the top scoring contestant! YOU MIGHT WIN THE $200 CASH PRIZE by entering the pageant and 4 Royalty titles. 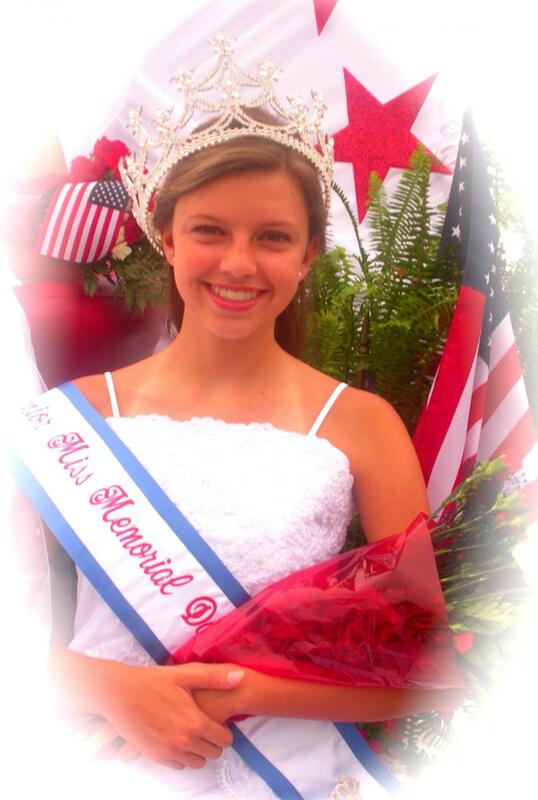 Princess CROWN, and walk in the Memorial Day Parade held in Dacula on THE LAST MONDAY in May. 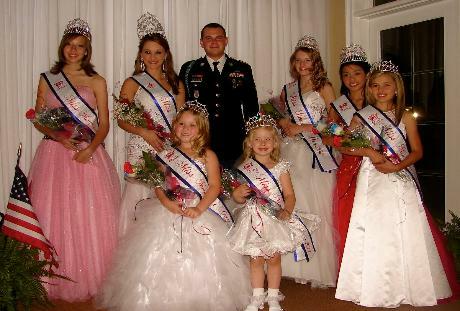 Memorial Day Queen and Court for the annual Dacula Memorial Day Festival and Parade. 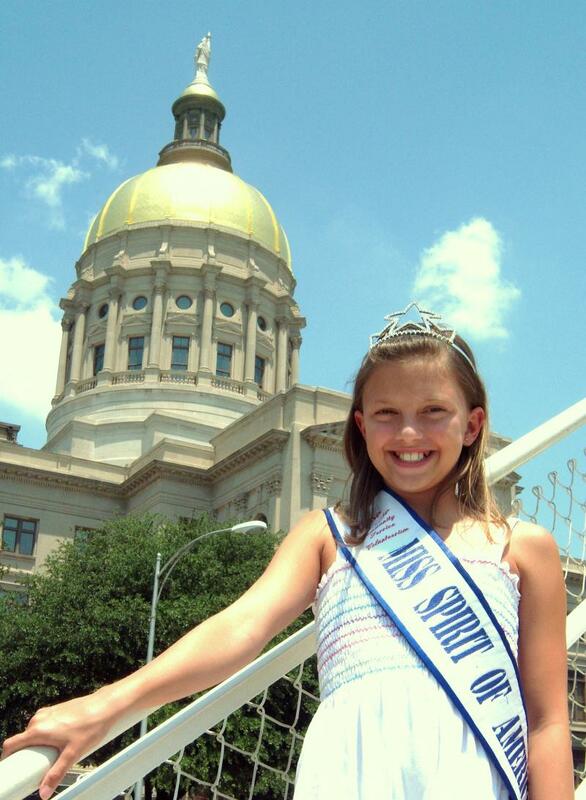 All Miss Memorial Day Queens age 6 and up will ride on the Pageant float in the Dacula Memorial Day Parade. Baby and Tiny winners will also appear in the parade. We look forward to your participation and yearly involvement with this system. 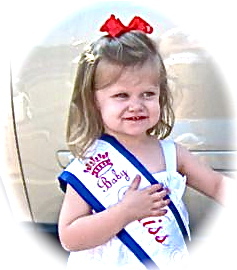 MISS PATRIOTISM is the one contestant with the highest score in the entire pageant with entry into the 4 Royalty Titles. All our contestants will take part in the Red, White, and Blue Fashion Show Opening Number. Each contestant will wear their best patriotic outfit and be scored in the opening while appearing in this RW&B outfit. It should be sassy and fun! The contestants 9-21 will introduce themselves when the model their RW&B fashion outfit. View our special days such as Government Day, Dacula Parade and Festival Day on other pages of this website. MMD Pageant Registration Forms on the right side navigation bar to get started.